LA Filmcutter: Happy 30th Anniversary, MTV! Right on, right on! 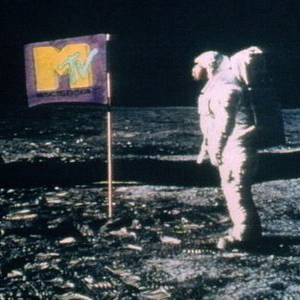 MTV was the sh** back in the day! First video: Video Killed the Radio Star by the Buggles...YES!! Best video: Thriller by Michael Jackson...absolutely one of the best! Worst video: Mickey by Toni Basil? It was still iconic!! LOL! BTW, I remember how Hall & Oates manager, in a "Behind The Music" special, claimed that they had the worst videos back in the day. Yeah, right...that's why I'll remember them so much because they too were classic, not the worst! "Private Eyes" where they all clapped and flashed into detective outfits. Sparse, yes. But we still looked forward to seeing them when they came around in rotation! Tony Basil; Totally iconic, but kinda crappy at the same time! LOL! I absolutely miss the 80's!!! Particularly 1980 - 1985. So much happened in those five years and for some reason time seemed to go by just that much slower. Not like now where five years seems like 1 or 2. I always said if I could go back in time (maybe for a brief vacation) it would definitely be during that period! Great music, great times! Oh yes....and thanks (about the banner)! Hey, it's not just the movies that get the love and special treatment!